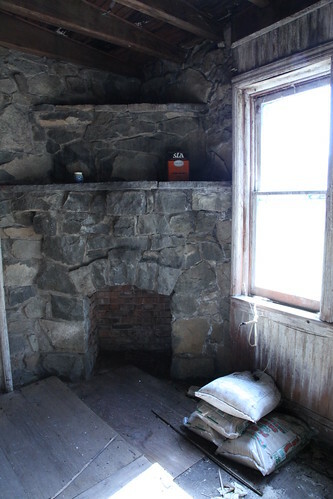 One of many fire places in this house, this fire place served the tower or turret exclusively. Judging by what was on the opposite side of the room, this was an office. Bags of modern rock salt sit in the foreground by the window. What's that on the mantle?